Meet & Greet. Grab your swag bag and nametag. Let's hang out and eat some pizza, while catching up with old and new friends. General Conference information, Watermark Facility Information, etc. Courtney Stephenson is the Director of Information Technology and Social Media and has been since March 2016. Prior to this, she was the front end web developer for five years at Calvary Chapel Melbourne. Grab a snack, drink & head towards your first session! Roundtable style session focused on Jamf. "Need to solve something with Jamf? 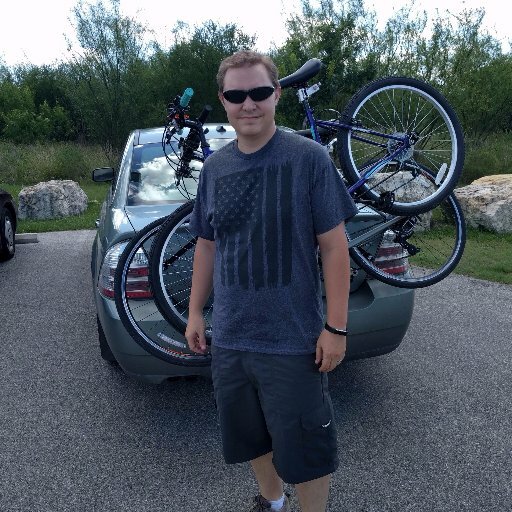 Want to hear about what others are doing with Jamf Now or Jamf Pro? Come with questions and topics to discuss!" PowerShell for the absolute beginner. This will cover the basics of PowerShell for those who have little or no experience with it. In the world of the IoT, how IT and facilities integrate is becoming more mainstream then ever before. From HVAC integration with event scheduling to the use of mobile devices to track work orders and inventory, to scheduling events, projecting life cycle of the facilities/equipment/assets...so on and so on. In addition, the trend toward full integration of electrical systems and access/security systems is on the rise. The church world needs to be aware of these IoT options and utilize the ones that fit their vision and mission as well as increasing operational and energy efficiencies. The future is NOW! Join the team from Yamaha to understand why AV Teams are using networks and how to support them. We'll start with a discussion on how AV data must be planned for differently than traditional applications and differentiate between high bandwidth (which IT is used to considering) and low latency (which is critical for audio networks). Next, we will offer some insights on where IT and AV professionals often miscommunicate, not based on what is said but what is omitted - the expected factors that were previously thought to be obvious. We'll bring clarity on terms common to each industry that mean different things. We'll also discuss common expectations of support and problem resolution, which may well impact your design. Finally, we'll also take a look at different topology models to address the needs of these systems. From the creation of "ponds" of high speed audio, integration of Wi-Fi access and internet for control from enterprise networks, and managing wide-spread communication loads, we'll offer multiple methods that are commonly done - you can decide which one is right for you. With the information from this session, you will be well prepared to work with your AV team on the future of audio and facility communications. - Troubleshooting Booklet that explains many common problems. Different churches host online experiences in different ways...not right not wrong but different. Plan to hear perspectives from Life.Church, WestSide Family Church, Christ Fellowship, Lake Pointe Church, Seacoast Church, and Northwoods Church. You've probably heard of the mythical "Unicorn" - the remarkable designer who also happens to be an all-star developer. Most would say that Unicorns don't exist, but the truth is that Unicorns are taking the software industry by storm. Designing and coding are two skillsets that can be practiced and honed together in harmony. Anyone can learn to design, and anyone can learn to code - you don't need a "certain type of brain" to do both. Come let me show you how to train your inner Unicorn, and how a multi-disciplinary approach to software creation can improve your output, enhance your career, and further your mission of using technology to serve Christ's Kingdom. Join us for a time of inspiration and exploration as customers and partners share some of the exciting things they have done with MinistryPlatform to solve real church problems. Application Whitelisting Cookbook: Hold the Malware! How to implement application whitelisting to eliminate malware in a windows environment, step by step. Join us for a reprise of the Microsoft UC Experience with Mirazon Solution Architect and Unified Communications Practice Lead Daryl Hunter. We’ll have a brief historical review of the Microsoft UC stack and focus our conversation around the Microsoft Office 365 Cloud PBX / Cloud Voice ecosystem. We’ll talk about how you can get from “here” to “there” – whatever that may mean to you. As time (and feature rollouts) permit, we’ll do some live Office 365 interoperability demos of some of the newest Cloud Voice functions. // Update 9/11/2017, Microsoft Ignite is shaping up to be exciting. I'll share all the newest goodies (that I can) related to the changing world of Microsoft UC! Mirazon - Chief R&D Officer, Solutions Architect, Practice Lead. Seminary graduate, spent 10 years in full-time ministry before shifting into consulting in 2010. Looking forward to connecting! This session will cover best practices for system design and introduce various tools that can help identify the source of bottlenecks and system slowdowns. A deeper dive into PowerShell - Getting information and reporting with PowerShell. In this workshop, Ryan and his wife Callie will discuss how to lead out in confession and forgiveness with Technology. The internet is a dangerous playground. Our culture struggles daily with addiction to our devices and the harmful content that can be found online. As a leader, how do you lead out with your staff on the dangers of these addictions and helping people recover from their choices and habits in a way that honors God. You’re called to reach people for Christ through #churchonline. You’re ready. But where do you really start? Join the Life.Church Online team of pastors and developers to learn everything you need to know to launch the Church Online Platform. Start with the high-level vision of this powerful tool and then dive in to each of the core features and integrations like streaming, scheduling services, and creating and customizing your online ministry domain, themes, and more. Accurate data tells you if your online ministry is actually making an impact. Join leaders from the WestSide Family Church, North Point Community Church and Life.Church online teams as they share which key stats they track, what metrics and analytics tools they use, and how to gauge success in #churchonline. How to build SEO to reach unchurched people. I'm going to share what Google and Missional Marketing have done to help churches reach an audience that is looking for a 'felt need'. When we started, the church was not showing up in search results, therefore, missing out on traffic that wants help but doesn't realize the church down the street can help them. We will examine exactly what Google is looking for to be able to show up organically. Software Developer @ Watermark Community Church for 3 years. Entrepreneur in web software 6 years prior. As any church worker how they feel about their ChMS and you are likely to get an earful. That prompts many to seek another solution, but often the real issue is that their implementation no longer fits, or staff aren't adequately trained. In either case, understanding the ministry problems that the leadership want to solve and setting up the people and process first will help you get your ChMS configured (or evaluate a better fit). Here, we'll share best practices for picking, implementing, and training on your ChMS so it can be more useful. At a time when social media normalizes online personalized experiences, when website real-estate has hit an all-time premium, and when we've got a ton of underutilized data at our disposal (ChMS, ChOP, web traffic, you name it! ), it would be great to leverage it all to create awesome and highly personalized web experiences. Yep, you can! You’ll learn how to tie the data together and how to turn data into action, ultimately creating more engagement. This would be a full demonstration of Church Community Builder, from vision and focus to specific functionality. This session is specifically designed for those wanting to learn (or relearn) about the vision, focus, and design of the Church Community Builder software and services and see it in action. Why/how/when should automation be used to standardize, simplify, and speed up common/routine IT tasks. Will include examples of automation/scripts using GPO, Powershell, and even macOS scripting. Join a Panel of Security Pros from Brotherhood Mutual Insurance, ACS Technologies and ThirtySeven4 to discuss how to help your staff avoid the pitfalls of Ransomware, Phishing attacks and other social engineering. What can your guest wifi tell you about who's walking through your doors? Engaging guests and Learning from the data that you have access to by offering guest wifi. Go beyond the basics and learn to leverage the platform in ways you didn’t even know existed. The Life.Church Online team—developers of the Church Online Platform—will share advanced functions in the reporting, alerts, volunteer, and prayer request features, and share their best practices for utilizing this technology to reach the world for Christ. In this workshop we will explore ways to create an impactful experience for your online campus that goes beyond just streaming your services. This includes viewer interaction, how to engage not only on Sundays, and more! Tyler Sansom heads up all weekend production at a rapidly growing church outside of Louisville, KY.
Join Church IT Network Peers and Partners for a panel discussion about how to get started with streaming in your Church. Have you ever wanted to know what a pretend wizard can do? Come learn how we leveraged jQuery to edit our Ministry Platform Portal to fit our church culture. IT Directors with last names beginning with A through C.
IT Directors with last names beginning with D through H.
IT Directors with last names beginning with I through M.
IT Directors with last names beginning with N through R.
IT Directors with last names beginning with S through Z. Network admins, Systems Admins, Helpdesk with last names beginning with A through H.
Network admins, Systems Admins, Helpdesk with last names beginning with I through P.
Network admins, Systems Admins, Helpdesk with last names beginning with Q through Z. As a #churchonline community, we’re committed to a roadmap for online ministry and the Church Online Platform that will lead even more people to life in Christ. Join the creators of the platform and the Life.Church Online team for a peek at new features and a discussion of where all of us, working together, can take online ministry in the future. Learn how Lake Point Church and Saddleback Church online ministry teams lead and support online small groups. What are the strategies and practices used to engage users during a live worship service from 2 different online ministries with different philosophies and goals. Are your servers pets or cattle? "In the old way of doing things, we treat our servers like pets, for example Bob the mail server. If Bob goes down, it’s all hands on deck. The CEO can’t get his email and it’s the end of the world. In the new way, servers are numbered, like cattle in a herd. For example, www001 to www100. When one server goes down, it’s taken out back, shot, and replaced on the line." - Randy Bias, cloudscaling.com What does it mean to treat our servers as cattle, from a Biblical perspective? We'll take a deep dive into Ancient Hebrew dairy farming practices, an application of Exodus 23:19 to modern server farms, and protecting the Sabbath rest for your servers. Tim Simms - Magically Predict What Web Visitors Want! (...you and all attendees will also walk away with a cool giveaway!) Let's have some fun. Join your Marketing and Communications in a collaboration in a Round Table Format. Everyone's a presenter and a learner. Bring your topics to discuss and help set the agenda. Wood-paneled walls and black and white photographs give the place an old-school country steakhouse vibe. Hutchins gets about a thousand hormone-free briskets a week almost entirely from Aspen Ridge, out of Greeley, Colorado. Cooked over oak and finished with pecan, they are cut to order on a butcher block at the front of the store, yielding black-crusted pink slices that are as spectacular to look at as to eat. We make our food fresh every morning in our kitchens. El Paisa takes pride in making "serious tacos" authentic of what you would find at taquerias in Mexico. The recipes have been handed down through the El Paisa family. Data and metrics aren’t just for businesses. Every day, we consciously and unconsciously use both to explain events, evaluate progress and tell stories. Data and metrics don’t necessarily give you all the answers and, by themselves, can’t make you better. However, used well, they can help you assess church engagement and measure the intangibles of discipleship. Please join us if you want to discover how data and metrics apply in a church context and how they help you close the gap between the ministry you have today and the ministry you want to become. Got Mac questions? Get Mac answers ... from your peers and MSP's. Bring your questions! Technical dive into common problems that plague your Wi-Fi and how to solve them. Intended audience is IT generalists with minimal wi-fi expertise. How do you care for your volunteers? Grow them? Find them? I need to advertise for Church Online? When to use the Google grant program, Google Adwords, and Facebook ads. Millennials and Generation Z are far less likely to take that first step through the doors of your church, but does that mean they aren’t interested in Jesus? Join the team from Subsplash/The Church App and discover how the power of content delivery and mobile can drive discipleship engagement. Engage your members more effectively through SMS Messaging. We’ll talk through several examples of using Twilio’s SMS and Phone API to create interactive communications, including Severe Weather Alerts, Event Registration, and Password Reset Assistance. Working within the constantly changing world of software development can crush many people, and leave many others feeling intimidated or hopeless. In this talk, I will cover 5 keys that will equip new and growing software developers with the tools they need for becoming and staying relevant in software development. A users group for current Church Community Builder partners to field questions from our current church partners, as well as giving them the opportunity to see and speak into current and future development. Because of potential development discussions that may happen, this session is for current church partners only. For non-partner churches and organizations wanting to learn more about the software and the organization, we recommend the INTRO TO CCB Session Tuesday at 2:30 PM. Thanks for your understanding. Come join us for the MinistryPlatform RoundTable. This will be a moderated discussion of MinistryPlatform. Anything could happen here - from a discussion about product enhancements to an amazing new view or just some excellent time with the team! Looking forward to seeing you there! My favorite things include snowflakes, stars and the beach. Save your church time, energy, and money by integrating your ChMS room schedules to your HVAC system. How much? Come to this workshop, and we'll go over some ways you can estimate your savings. We'll also cover basic features of Events2HVAC, the software that enables this integration. Events2HVAC is compatible with many ChMS, building automation systems, and thermostats -- and we are adding more as quickly as we can. We will discuss compatible systems and present examples of churches using Events2HVAC with different ChMS and HVAC controls. We will finish up the session with a live user demo by Paul Tedder, IT Systems Administrator at Fellowship Greenville in Greenville, SC. Paul will demonstrate how he uses Events2HVAC to control both HVAC and security. Join the team from Yamaha to understand why AV Teams are using networks and how to support them. Showing other tools in the O365 ecosystem and how we see them benefiting churches. Blended communications (SharePoint, Skype, Teams, Stream); Project Mgmt (Planner, Shared OneNote); File Storage (SharePoint, OneDrive, Cloud Attachments); MS Forms, MS Flow, How to train your staff. Got WiFi questions? Get WiFi answers from a panel of wifi integrators with experience in the church market and beyond. I enjoy anything without wires and some things with wires. When live video is played for an audience in a hosted environment, the audience’s expectations for video quality and playback reliability are much higher than if they were watching at home or on a mobile device. While production teams are responsible for making the video’s content look good, they rely on I.T. to ensure that video is delivered to all viewing campuses effectively and consistently. This workshop will explore why traditional streaming protocols like RTMP and Zixi are often ineffective for use in these types of environments, and introduce Living As One’s end-to-end resilient video delivery platform which was designed to overcome shortfalls with previous internet streaming methods. Specific tops include a high-level overview of A/V technologies, network QOS for streaming, scalability of distribution, and playback delay recommendations. Join Kaye Golden and Marieno Brisbon to get a sneak-peek from two unique churches on how they do online life groups. This session will cover everything from life group content, leaders, sign-ups, and testimonies. You will see firsthand how to connect and grow your online audience through community. Facebook, Periscope, Youtube, Roku, AppleTV. Communications tools or online ministry? Join us as we explore the advantages and challenges facing leaders as they we navigate what happens when online ministry becomes 'multi-campus' through "alternate" platforms. Join us for a Panel discussion about volunteers in Online Ministry. The How and Why of Social Media. Best practices to reach and equip others using your social media accounts. Have you found yourself wanting to build cool things but you don't have an ops engineer on the team to handle the infrastructure? So have we and that's ok! There's an abundance of resources available that will make having a dev ops resource on your team a thing of the past. We will take a look at how Watermark has gone about tackling this, what tools we've leveraged and what we've learned in the process. Services to be discussed include Heroku, Algolia, Contentful, Sendgrid, and more. To fully engage in its global mission in the 21st century, the Church needs and deserves best-in-class tech tools. Increasingly, "best in class" means connected ecosystems of APIs and overlapping dependencies. Join Pushpay for a look at how integrations and APIs are changing the way we experience technology, and stick around for a conversation about how they may soon be impacting your ministry as well. Tuesday afternoon we'll wrap up workshops a little early so we can all participate in the exciting evening activity. 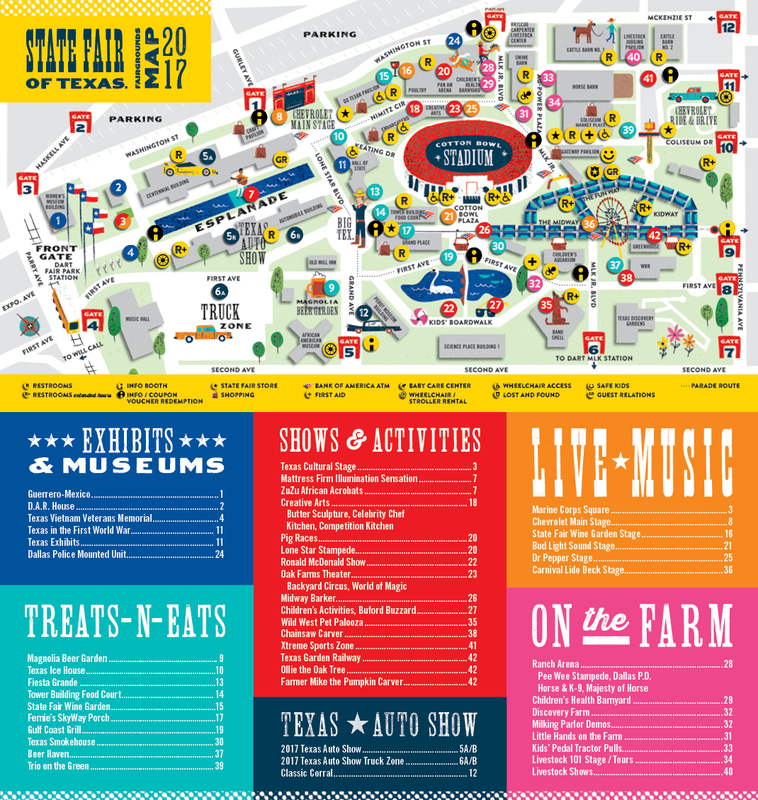 Join a team who will help you win the scavenger hunt, hop on one of the buses and enjoy some Texas size fun at the State Fair. Transportation to/from the fair and $$ for dinner provided. OneDrive Folder Redirection (Travis Phipps): OneDrive for Business is an incredible tool for enabling cloud storage and sharing capabilities for your staff. Imagine how useful it would be if your desktop, documents, pictures, etc. folders were automatically synced to OneDrive. Imagine migrating users to a new machine without copying any user data manually. Oh, did we mention this works on PC and Mac both? KnowBe4 (Elliott Wood): Human error. Conquered. Would you like to test your staff’s ability to spot phishing attempts and ensure they have the knowledge and tools necessary to avoid falling for it? KnowBe4 will test your team with real-world phishing messages and allow you to track who falls victim and then offer ongoing training to the users who need it most. NoMAD (David Cintron & Doran Woods): The power of AD – With none of the bind. We’ll show the benefits of the open source NoMAD utility for managing Mac users connecting to Windows-based network resources without binding Macs to AD. Cloudberry (James Grissom): Cloudberry is software that empowers onsite and offsite backup including image-level backups, VMware/Hyper-V backups, and good ole file-level backups as well. You provide your own cloud storage subscription from Backblaze, Amazon, Azure, or many others. Imagine replacing Crashplan ProE with cloud-backed storage and no annual cost increases. Get technical with the Church Online Platform team and learn how to leverage automations, triggers, workflows, and other customizations in your online ministry. Hear specific examples and use-cases from the Life.Church Online team and others churches using the platform, and come ready with questions and ideas to discuss! We have online ministry … now what? Your mission was to get your church's service streaming online, you did it. This was only the beginning, now let's talk about what it is to go from simply streaming to being a church, online. We'll also talk about creating environments for volunteers on site and using that space to bring awareness to your Online Experience. A discussion on what we see on the horizon for online ministry. Whatever Google announces right before!!! How do I know if I'm accomplishing my goals with digital ministry? Many of us face the challengnes of how to encourage Pastors to use the latest technologies. Learn techniques on how to encourage them to not fear technology, but embrace it. Save $1000's with TechSoup ... seriously! Gayle Samuelson Carpentier, Chief Business Development Officer, TechSoup, guides you through the rich array of donated and discounted resources waiting for all religious organizations. Learn how to use these programs effectively and maximize your ability to improve your organizations infrastructure at pennies on the dollar! Looking for insights about how to better build your infrastructure? Get access to great software/hardware/services to power your Church? Attend the TechSoup sessions on Wednesday morning, October 11 or find me on site during the conference! See you in Dallas! This is our 11th year hosting events. Join a dialogue about what's working well and what could be improved as we consider the future. We'd love to hear your input as we start planning for 2018. Submit your questions during the event to be answered by a panel [Link To Be Provided]. Panelists are Online Ministry leaders from organziations all over the country of various 'flavors' of online and church sizes. Grab a burger and stick around or get on the road home. Come take a look behind the scenes of the Watermark Dallas Campus.